According to recent news article from The Orange County Register, California’s Inland Empire is one of the top areas in the nation for construction jobs. This claim is based on data from a leading general contractors’ association and includes the number of jobs as of this past April. Riverside was actually the top overall location in terms of construction jobs available. There were 14,600 construction jobs added in the past year in Riverside and San Bernardino. This accounts for around 16 percent of all construction jobs in the county. This means that if you are living somewhere else and looking for a construction job, you might want to consider getting to Riverside as soon as possible. There were other areas on the list from around the nation, but Los Angeles made the list at number three with around 5800 jobs added last year. This accounts for about 4 percent of all new construction jobs. While this is good news for those looking for work, as our Riverside employment lawyers can explain, there are some things these construction workers should be on the lookout for to make sure their employers are not taking advantage of them. One of the biggest areas of trouble we see in construction jobs deals with employee misclassification. When a developer wants to build a new housing development, as if often the case in Riverside, they may do the work themselves by hiring workers, or they may take bids on the job. Even if they are what is known as warehouse builder that buys all of the building materials way ahead of time on the commodities market, they may still need a general contractor to do the work. On large construction projects, before the general contractor submits a bid, they will ask for sub-bids for various other contractors such as masonry contractor, electrical, and plumbing. While the general contractor and the various subcontractors are not employees of anyone, the workers hired to do the actual jobs are likely employees. That means they are entitled to hourly wages and overtime. 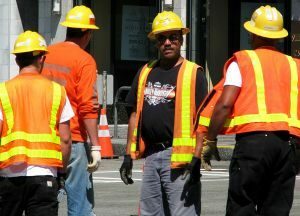 Even though the contractor is not paid by the hour, but by the job, the workers are supposed to be paid by the hour and entitled to overtime. If the work isn’t done in the regular work week, and the workers need to work late to get things done, they are entitled to overtime pay. This is true even if the contractor is losing money based upon his or her original estimate. What we tend to see is the contract telling the workers they don’t make any more money since the contractor doesn’t make any more money and overtime is not paid. This is wage and hour dispute as a result of employee misclassification, which is a constant problem. If you are not being paid for all the time you work, you should contact an employment lawyer as soon as possible and keep all schedules and details of when you actually worked. The more documents you have, the easier it will be for your attorney to calculate what you should have been paid.